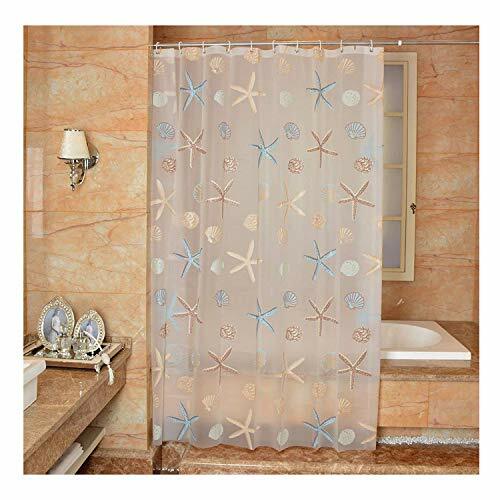 Standard shower curtain size is the popular, average shower curtain size for bathtubs. 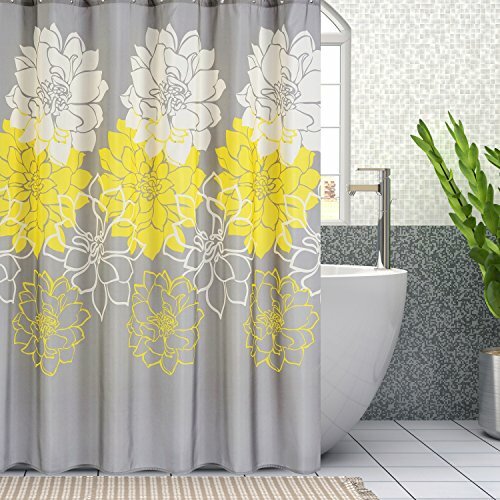 It is very important to use the right sized shower curtain for bathtubs in the bathroom (and it is also important to choose the right kind of fabric for shower curtains and liners) as short or large shower curtains can cause inconvenience to you. This standard size shower curtain shown on the left fits for average standard sized tubs and looks clean, simple and elegant for any bathroom! 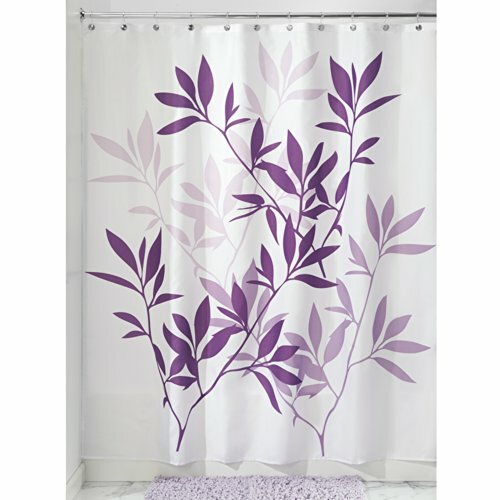 Smaller or shorter shower curtains can cause splash of water outside the tub, causing a huge deal of mess and consequent cleaning which will become a necessity and too long or wide shower curtains will make it difficult for you to use the shower comfortably and they too won’t be efficient in preventing the spilling of water completely. So as you can see it is very important to use the right sized shower curtain for your bathtub. As bathtubs can vary in size, for example, freestanding bathtubs like clawfoot tubs are different in size and shape from the standard tubs, and they are more deeper than regular tubs, so they definitely need shower curtains designed for clawfoot bathtubs, you can read more about clawfoot tub shower curtains here. However, most of the regular inbuilt bathtubs come in standard sizes and so you can easily find the right sized shower curtain for your bathtub if you know the average or standard shower curtain size for bathtubs. 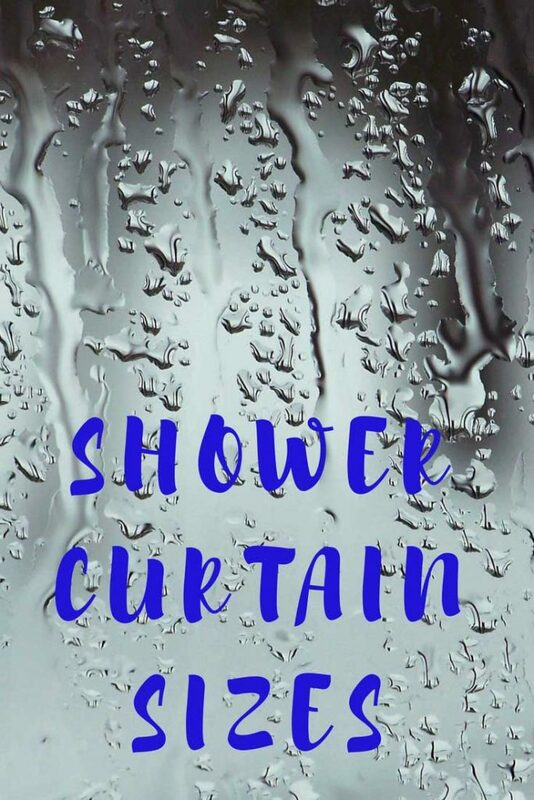 In fact, the most common standard shower curtains are 70 or 72 inches wide, as they can vary a few inches to accommodate personal preferences and minor variations or requirements in the bathtub, like you need few extra inches or you prefer a few inches shorter curtain. So the standard shower curtains also come with few inches longer or few inches shorter and you can choose based on your preferences. Most standard bathtubs are 60 inches long and standard size shower curtains are available in 70*70 inches, 70*72 inches and also 72*72 inches. As I mentioned above, most standard bathtubs are 60 inches long and if your bathtub is shorter or longer than the above mentioned size, you will have to adjust the shower curtain size accordingly from the above mentioned standard shower curtain sizes. So it is extremely important that you know the size of your bathtub before you purchase any shower curtain or shower curtain liner. If you are unsure about the size of your bathtub, make sure to measure the length as you decide to buy a new shower curtain or liner for your tub. If you have an already installed shower curtain rod, it is so easy to do as you just need to measure the length of the shower curtain rod to find out your tub size. 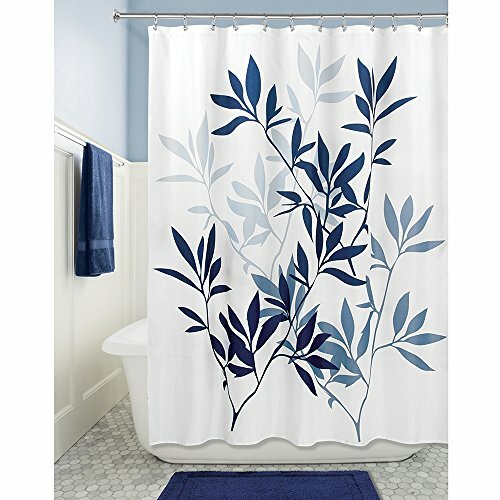 You will need to add few more extra inches to your shower curtain than the length of the tub or curtain rod, for example, if you have a standard 60 inch bathtub, you choose a shower curtain that is 12 inches more and so you can choose a 72 inches wide shower curtain for your 60 inch tub. 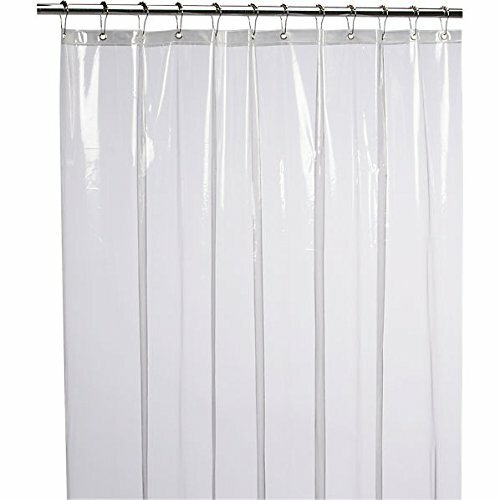 And as I mentioned above, the standard shower curtains come in few different sizes, in fact three different standard sizes – 70*70 inches, 70*72 inches and also 72*72 inches so you can choose the right sized one for your tub once you know the size of your tub (or curtain rod) and based on your personal preferences too. 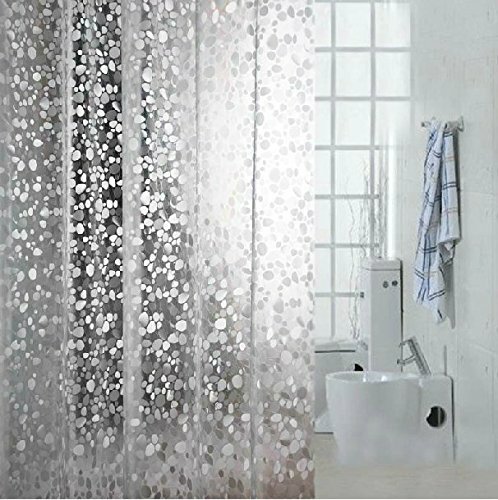 So here you can find some of the best and most popular standard shower curtains for average sized tubs, so you can choose whichever you like the best. Make sure to go to the product page and read the product details to understand all product specifications as you decide to make a purchase. 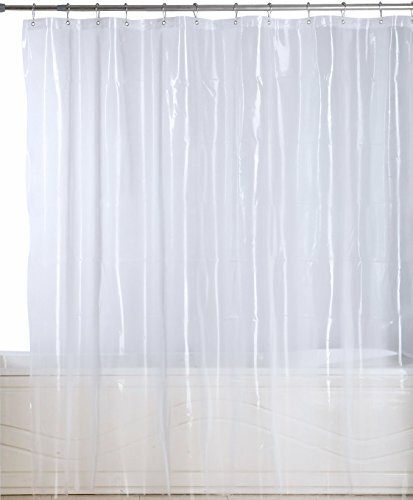 Hope you found this post on standard shower curtain size helpful in finding the perfect shower curtain for your bathtub!